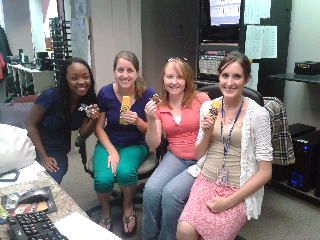 Friday is ice cream day at the station! Just be careful not to drip on the switcher or the edit console! Aaaahhhhh!!!! I want ice cream!!! !